This silicone self draining soap dish features a unique and classy design. It helps extend the longevity of your soap bar. 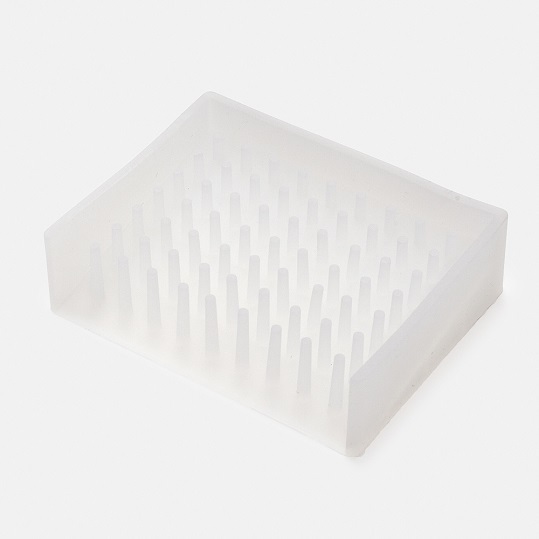 This soap dish features a non-stick spike surface for the soap to rest upon. It also has a slanted base that enables water to automatically drain out. 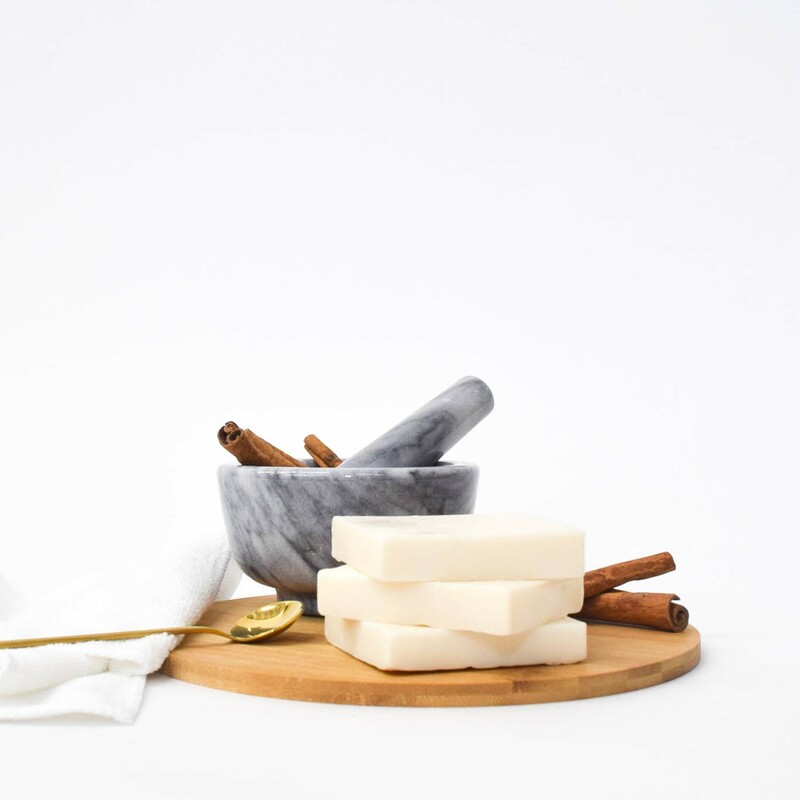 Because our handmade soap bars are free of synthetic preservatives and hardening agents, they are best stored in a dry place away from direct sunlight and water. Our glycerin soap is made with plant-based oils and aloe vera for extra moisturizing properties. 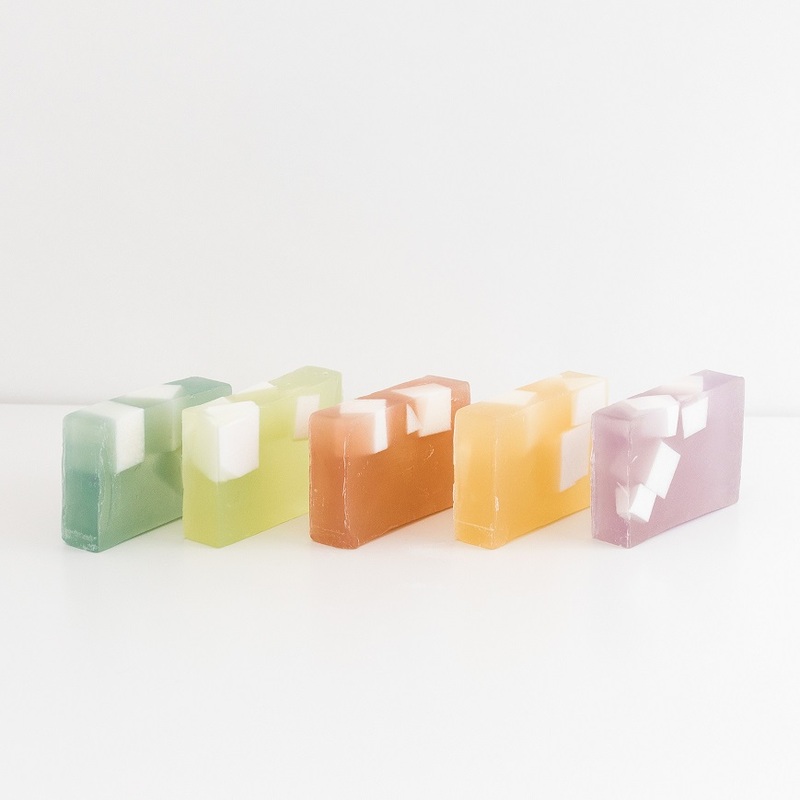 This soap sampler includes 6 small soap slices (approximately 1-2 oz. each). Recommended to use as travel or hand soaps. This soap gift set includes the Japanese Yuzu, Cucumber Melon, Juniper Berry & Lime, Lavender, Pink Grapefruit and Sandalwood Vanilla scents. It is a perfect gift for all occasions. Our handmade soaps are made in small batches and can vary slightly in size, color and design. These soaps are gentle enough for use on sensitive skin. This gift box measures 5.75” x 4.5” x 0.75” and is secured with a gold elastic band. Japanese Yuzu: Aromatic with sweet accents and bold citrus freshness. Our glycerin soap is formulated with plant-based oils and aloe vera for extra moisturizing properties. This handmade soap bar is made in small batches and each bar can slightly vary in size, color and design. Our soap bar is gentle enough for use on sensitive skin. 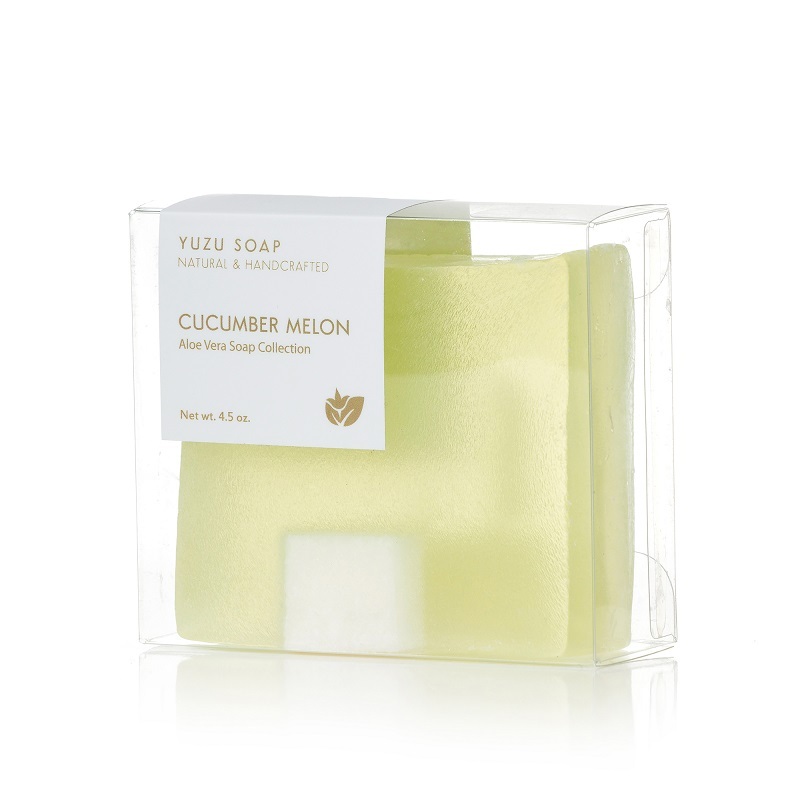 We recommend this soap bar for customers who like more of a cleansing feel. Our Milk Soap Bar Collection is recommended for customers who like a more lathering and moisturizing feel. We do not use synthetic preservatives in our soap bars. Hence, please store the soap away from water and heat to extend its longevity. Check out our Self Draining Soap Dish for a beautiful option of storing and displaying your soap bar. Our goat milk soaps are formulated with plant-based oils and real goat’s milk. Goat’s milk helps soften skin and provides an extra lathering and moisturizing cleanse. This handmade soap bar is made in small batches and each bar can slightly vary in size, color and design. Our soap bar is gentle enough for use on sensitive skin. 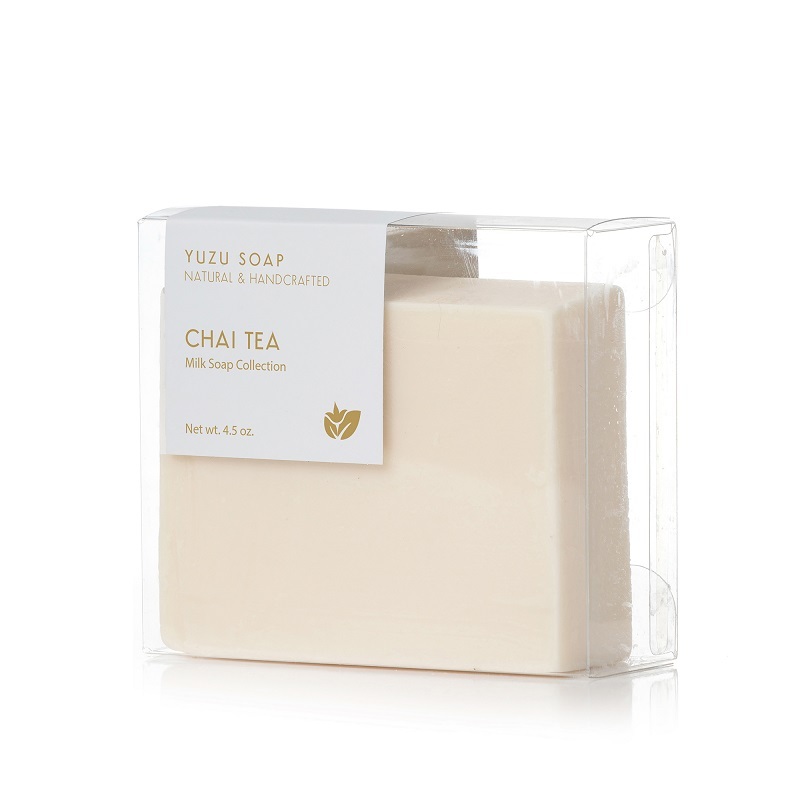 We recommend this soap bar for customers who like a more creamy lather. Our Aloe Vera Soap Collection is recommended for customers who like more of a cleansing feel. We do not use synthetic preservatives in our soap bars. Hence, please store the soap away from water and heat to extend its longevity. Check out our Self Draining Soap Dish for a beautiful option of storing and displaying your soap bar. 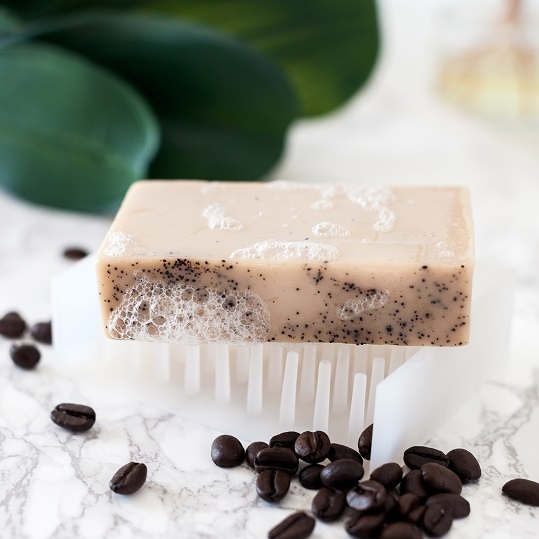 Coffee Mint: Indulge in rich, warm coffee with refreshing hints of spearmint. This scent was made for coffee-lovers in mind. Chai Tea: An inviting, complex aroma to make you feel warm and at home. Bergamot Lime: Feel surprisingly relaxed with this unlikely combination of sweet and tangy. Tahitian Vanilla: Smooth, rich and creamy vanilla with coconut notes. Natural Collection scents include Bergamot Lime. Fragrance Collection scents include Chai Tea, Tahitian Vanilla, and Coffee Mint.